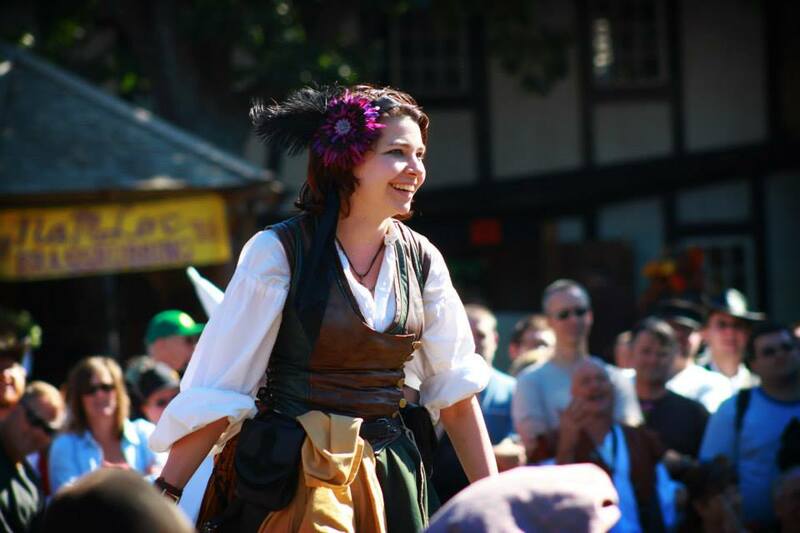 I’ve known Chrys since she became part of Vilification the old-fashioned way – by standing up on stage at the Renaissance Festival and trying to insult someone. She started out well and has continued to improve since then. She has a drive to write the best material possible. She spends a lot of time working with her partner to refine the jokes she writes because she wants them to work the first time she throws them. It may not be a 100% success rate but most of her new material hits the mark. When she is on stage, she looks confident and prepared. I’ve never seen her arrive at a show anything but ready to do her best. I’ve never seen her at a loss for a joke. Off the vilification tennis stage, she is a gifted costumer. Her work has been on stage at the CONvergence masquerade and in the halls of the convention. If you want a well made corset, I know who would be on the top of my list for a recommendation. That attention to detail she brings to costuming is probably why she is so good in her job. As a property manager she is clearly meticulous and attentive. Those traits are a part of who she is and it makes her valuable. Chrys and I share a lot of the same political views, which is not a reason I like her specifically but, like many of the people I know, she often helps lend perspective to a situation I’ve been thinking about. She doesn’t arrive at an opinion without some thought and because of that, I find her opinions worth hearing. Like most members of the vilification cast, Chrys has brought her personality to the mix and it has added something that wasn’t already there. I think the diversity of who we are makes a huge difference in the success of our show. I’m glad Chrys stepped onto our stage to give it a chance all those years back. It means I’ve gotten to know a really cool person.